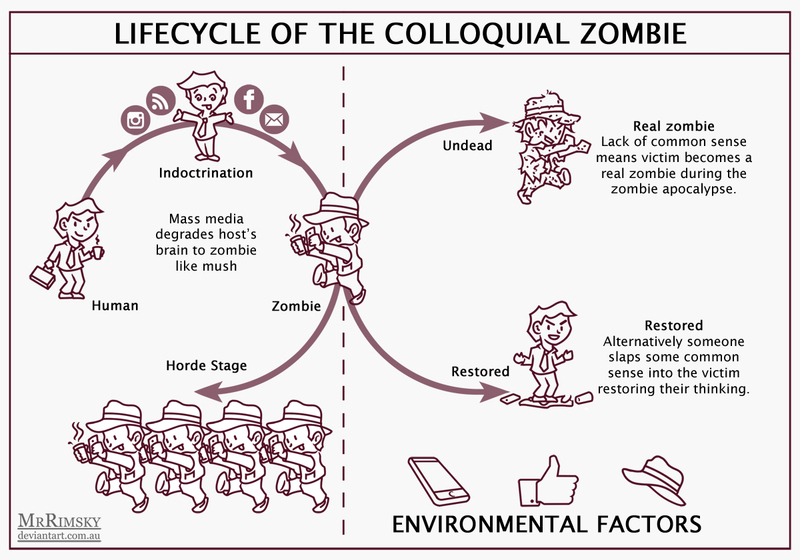 According to the Macquarie dictionary, there is another type of zombie. One that hides among us today. Maybe there is one at your workplace, or living in your street. Maybe your teenager is one. We are talking about the derogatory or colloquial use of the word zombie to describe someone with no independent judgement or intelligence. 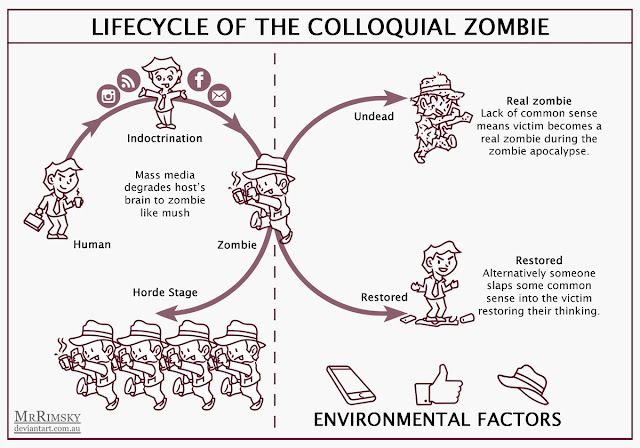 Using the word zombie to describe these people has been around for a long while but the rise of social media has given it a bit more popularity. You would have seen the various memes about people walking along staring at their phones as being zombies. Not that I am suggesting social media causes people to become fedora wearing, quinoa eating, latte sipping Facebook addicts. Nah. That's caused by a chemical the Government secretly adds to bottled water.